Rochester Cathedral is one of Kent’s most romantic and spectacular venues. 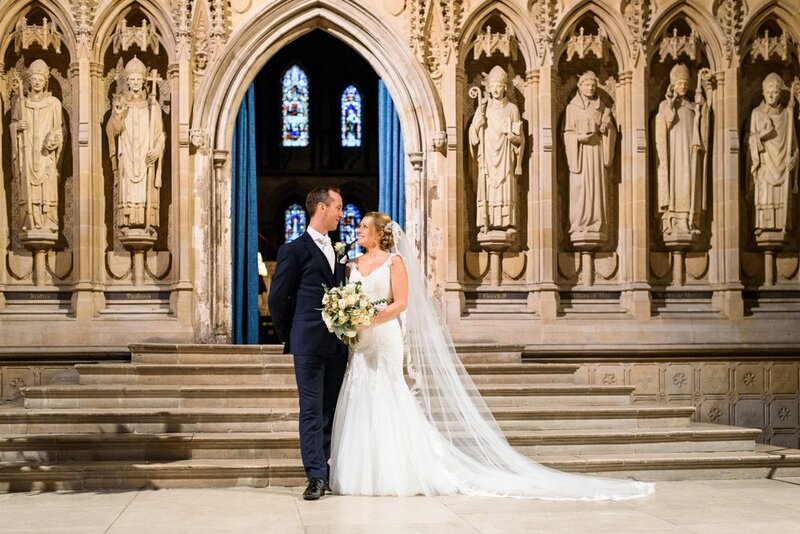 To get married at Rochester Cathedral you will need to demonstrate a strong connection to the Cathedral. Couples will need to be eligible to obtain a special marriage licence from the Archbishop of Canterbury. We are delighted to receive enquiries about getting married at Rochester Cathedral. However, to be married here you will have to obtain a special licence from the Archbishop of Canterbury. To be granted a special licence you will need to demonstrate a significant connection to this Cathedral. We are happy to support the application of someone who regularly worships at the Cathedral or someone who worshipped here regularly while they were a pupil at the Kings’ School, Rochester. We will be happy to meet you to discuss your request under the guidelines from the House of Bishops. The qualifying connections for marriage that are applicable to most parish churches do not apply to Cathedrals. Enquiries are welcome from people wishing to discuss the possibility of a service of thanksgiving/blessing following a civil marriage, the celebration of an anniversary or the reaffirmation of weddings vows. For this you will need to demonstrate a strong connection to the Cathedral. For more information about marriage in the Church of England, visit Your Church Wedding. 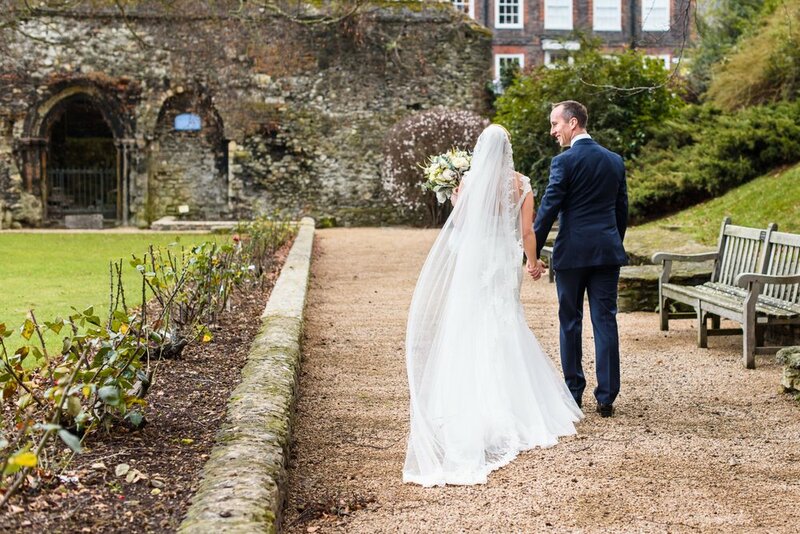 If you think you qualify to get married here at Rochester Cathedral, please contact the Events Officer at info@rochestercathedral.org or telephone 01634 810073. 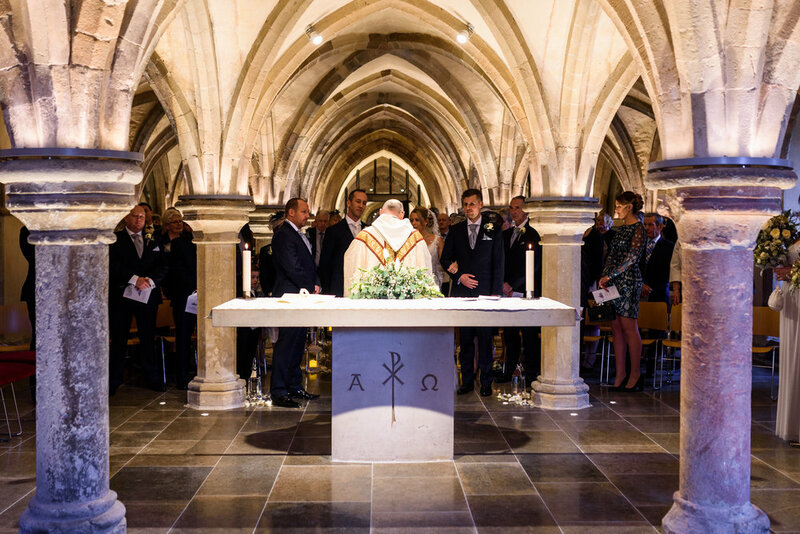 You can now hire the Rochester Cathedral Crypt for your wedding reception. You do not need to get married here to hold your reception here so it’s a wonderful way of including Rochester Cathedral in your wedding.